Our 7th Endemic Bird: The Bahamian Bananaquit? Not Quite! Why hasn’t the Banaquit been elevated to full species status? 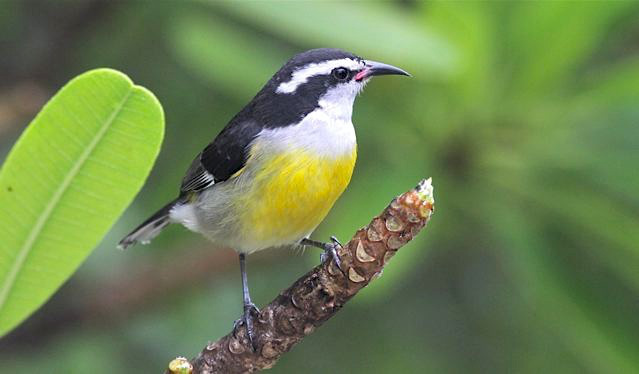 Bananaquit: The West Indian region is one of the most biologically diverse places on earth and is home to a wide variety of birds, 173 of which are endemic to the region. These birds are unique treasures found nowhere else on earth. In The Bahamas, we currently have six confirmed endemic birds (Bahama Woodstar, Bahama Warbler, Bahama Oriole, Bahama Swallow, Bahama Yellowthroat, and Inagua Woodstar). There are, however, several more birds that, in my opinion, warrant full species status. We currently have more than 20 native birds which are endemic sub-species to The Bahamas. Research on some of these has revealed important differences that indicate that these birds should be elevated to full species. It is important to note that with birds, information on morphology, plumage color differences, song, and genetics are important to add support to a bird being recognized as a full species. With that being said, at least three birds should be elevated to full species status: The Bahama Parrot, The Brown-headed Nuthatch, and the Banaquit. 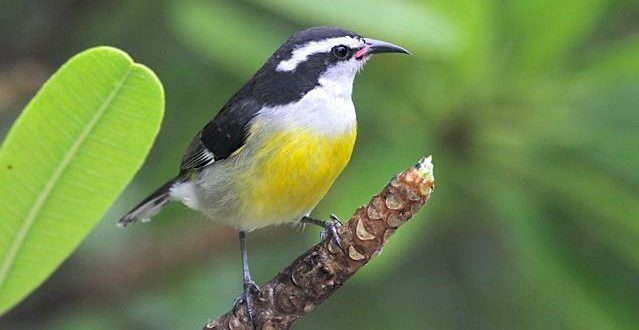 In this article, however, I will focus on the Bananaquit. The Bananaquit (Coereba flaveola bahamensis) is a small bird found throughout the West Indies as well as Mexico, and parts of South America. Bananaquits are primarily nectarivores (nectar feeders), but will also eat fruits and small insects. It is common in residential areas and in the coppice forests, scrublands, and pinelands of the Bahamas. Research on the Bananaquit throughout its range is extensive. What is interesting about Bananaquits is that, unlike many other species of West Indian birds, whose origins are from the mainland (North, Central, or South America, or even Africa), the Bananaquit is believed to have evolved in the Greater Antilles millions of years ago. 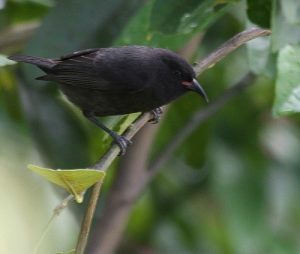 Since then, it has colonized other islands in the region and is one of the most abundant birds in the West Indies. There are currently 41 recognized sub-species! So, what makes our Bananaquits so special? Genetic research was published by Bellemain et. al. 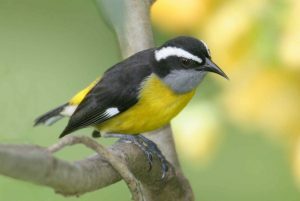 in 2008 on several populations of Bananaquits throughout its range. The research showed that the Bananaquit population in the Bahamas, form a separate group that split from other Bananaquit groups between 1.75 and 4 million years ago. Their research asserts that a population in the Quintana Roo state in Mexico is in the Bahamian group. Unlike other Bananaquit populations throughout the range, the Bahamian Bananaquit has a light grey to whitish grey throat and breast and has a yellow belly with a yellow rump. During the breeding season, Bananaquits also perform, what I would call a “sloping dive” when it singing. It would perch on a branch and as it is singing, it would perform the dive while in mid-song. This behaviour has not been observed in other populations of Bananaquits. Our Bananaquit displays characteristics and behaviours that separate it from other populations such as its genetics, plumage differences, song, and behaviour. So, why is this species not a full endemic? In 2010, the International Ornithological Congress recommended that the Bahamian Bananaquit sub-species (bahamensis) be elevated to full species status. Unfortunately, this motion has not been accepted as yet by the American Ornithological Union (AOU). The AOU Committee on Classification and Nomenclature of North and Middle American Birds aka North American Classification Committee or NACC for short is an official committee of the AOU and works to create a standard form of classification and nomenclature for birds of North and Middle America. This committee also looks at studies on birds and after meticulous reading and deliberation of the information presented by researchers makes a decision if a species should be elevated to full species status. Bahamian endemic birds such as the Bahama Oriole, Inagua Woodstar, and Bahama Warbler were all sub-species that have been accepted and elevated to full status, but other Bahamian birds that have also shown to be distinctly different such as the Bahama Parrots and the Bahama Nuthatch… and the Bananaquit have not. I guess more research has to be done before the committee decides that these three bird species are indeed new species. I do take solace in knowing that we have more endemic birds just waiting to be discovered and, in this case, accepted. If we continue conducting proper research and chipping away at our lack of understanding of Bahamian biodiversity, who knows what amazing discoveries are waiting to be uncovered.